James Ham is a professional luthier dedicated to the repair, restoration and new construction of violin family instruments and bows. A member of the prestigious American Federation of Violin and Bowmakers, he began his career in 1972 as a repairman and honed his skills by working on thousands of instruments. These skills were acquired mostly by self tutelage but two key mentors are bowmaker Francis Rutherford and violinmaker Raymond Schryer. 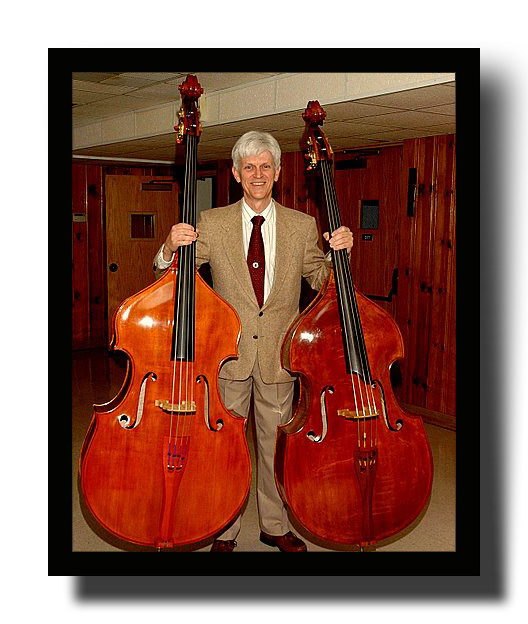 Mr. Ham completed his first string bass in 1995, as a commission from Mr. Gary Karr. The reception of this bass was so acclaimed, that a steady stream of orders for double basses has followed ever since. His instruments are currently owned and performed on by professional musicians throughout Asia, North America and Europe. Born in 1949 in Augusta, Georgia, Mr. Ham cites both his mother and father as major influences on his choice of profession. His mother was very musical and played the violin, viola, piano and sang in local choirs. His father grew up on a South Dakota ranch, trained as an engineer and ultimately found employment designing hydro-electric dams for the Tennessee Valley Authority. The family lived in several Southern states during his boyhood, but eventually moved to the West Coast when his father accepted positions with the engineering firm, Bechtel in San Francisco and eventually with BC Hydro in Canada. In 1972, Mr. Ham relocated with some friends to Victoria, BC in order to open an instrument repair shop – "Old Town Strings." The shop still exists, although he is no longer actively involved with the business and prefers to work out of his private shop, which is also located in Victoria, BC. Mr. Ham is a board member of the Catgut Acoustical Society, a founder of the VSA Festival of Innovation and has participated in the VSA Oberlin Acoustics Workshop for the past 4 years. In 2001 he received the prestigious Manning Innovation Award, for introducing a series of revolutionary design improvements for the double bass. When he isn't busy restoring instruments or working on his latest bass commission, Mr. Ham enjoys playing violin in the local community orchestra, performing folk music with friends and skiing. "I believe that the finest instruments ever made are being made today – they just aren't old yet!"